The object of the game is to have the least amount of balls on your side when the match time is over. 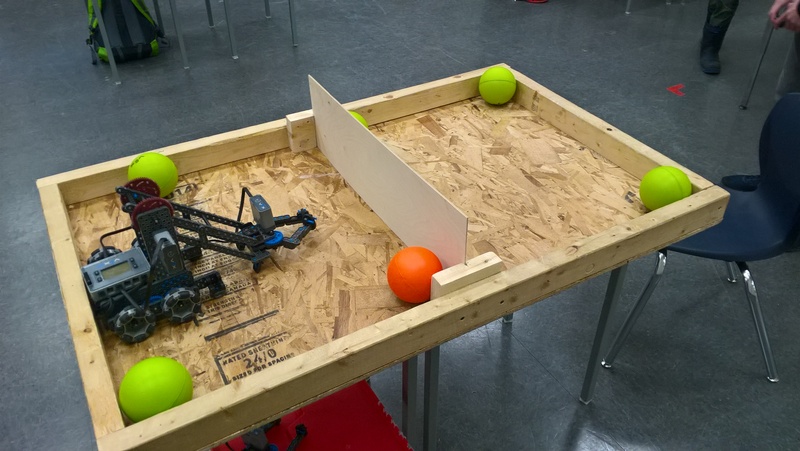 The game objects are 6 pieces of foam balls, 3 on each side, and a divider in the center of the field going across. This game can be played by one or two players. All the balls are moved to the player’s side. A stop watch is used to time how long does it take to clear the field (move all the balls to the other side). the balls are divided evenly in both sides. robots will start in their own side, and may not touch each other. Balls falling out of the field may be returned to the post of departure. 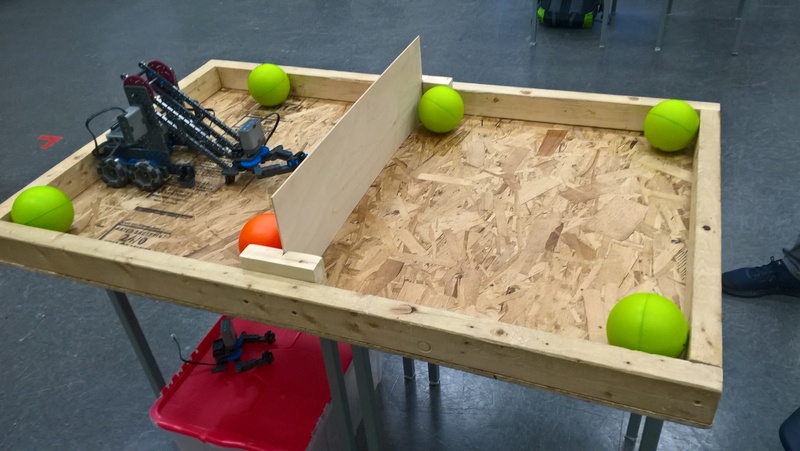 If more than 2 foam balls have been thrown out of the field by the same player, the robot will be disqualified from the game. The game field is a 2 feet X 4 feet table. Larger tables may also be used to create additional level of difficulties.